Discussion in 'Everything Else Pigs' started by Mike CHS, Feb 5, 2019. We don't have pigs but thought of several members tonight while watching the local news. Wilbur, the pig was used in the 2006 remake of Charlotte's Web was reported on the news as passing on to Hog Heaven today. Wilbur was 12 years old and will be buried in the Rutherford County family farm. 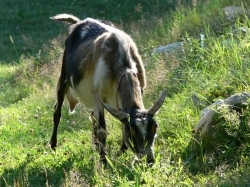 promiseacres, B&B Happy goats and Mike CHS like this. I bet if you cooked him in an Instapot, he'd still be tasty. Baymule and Mike CHS like this. I had to read this post after seeing the title. I kept thinking "@Baymule 's Wilbur went to Hog Heaven a few months ago, what is this about?" Baymule and Rammy like this. This Wilbur was on the cover (ad) for the 2006 version of Charlotte's web mentioned in the opening post. Baymule, Rammy and RollingAcres like this.